We arrived in Brisbane yesterday. 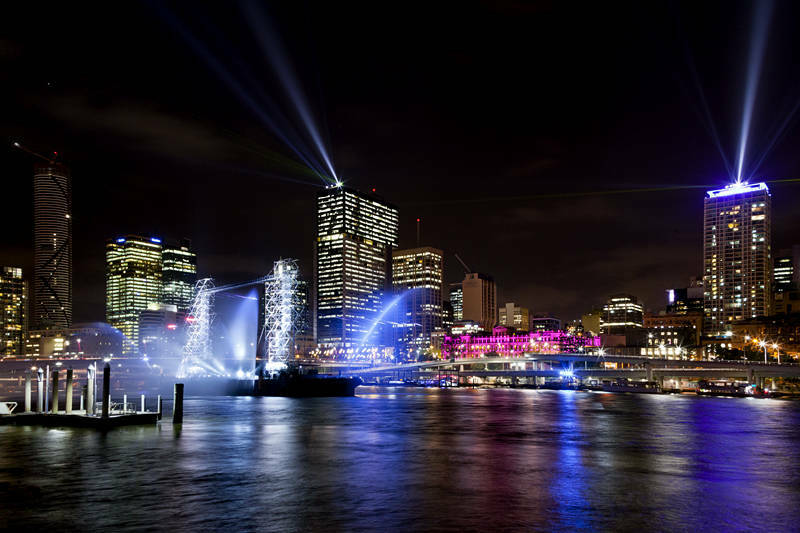 The stage on the left of the picture was for the Brisbane Festival City of Lights. We also saw a great band called Cheap Fakes at one of the festival stages on the South Bank. This picture means I now have night shots over water of Australia‘s five biggest cities. In order of population they are: Sydney, Melbourne, Brisbane, Perth, Adelaide. As far as regional capitals go I am still short Darwin and Hobart but I have no plans to photograph these currently.